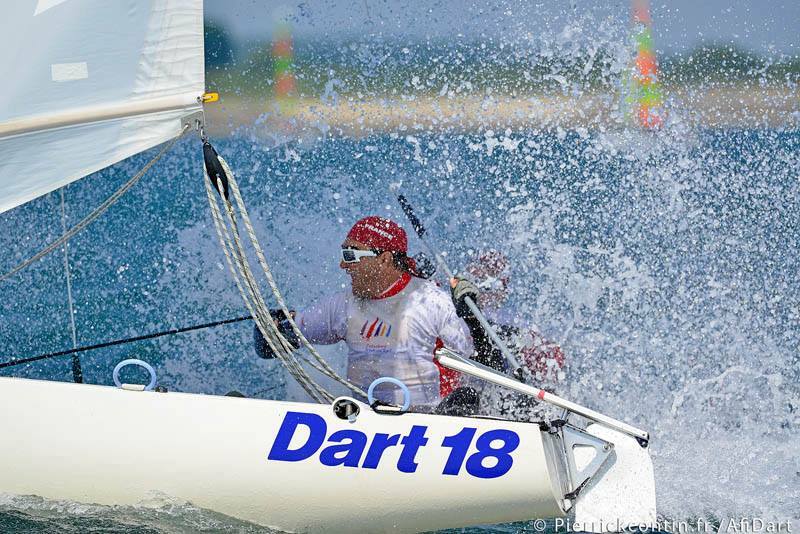 "DART Worlds 2017 will be taking place in August at the Baltic Sea in Germany. For anyone who likes competition in an Low-Tech absolute One-Design Class, where the material does´t count a dime the DART 18 still is an interesting class. Roman Hagara, Bill Besson, Remco Kenbeek and many other top-sailors sharpened their skills on the DART. We hope to see 100+ boats on the startling line in beginning of August at one of the best beaches and sail grounds on the Baltic Sea, only 100km motorway from Hamburg Airport. Charter boats are available." We have found a perfect solution for boat trailers and motorhomes with water and electricity right next to the location of the saling club, please see the map. Beach, sailing club and trailers will be in 3 minutes walking distance. If you want to find out more about the trailerpark, please check here: http://ostseestrand-campingplatz.de/ferienpark. Reservations should be made early since it will be high season and Scharbeutz will be very busy and crowded in August. Motorhomes have to pay 20 Euro per day. You can also bring your tent or rent a small house. For those who might want to come by airplane. Hamburg is not far away and there are lots of cheap flights with Ryanair, Germanwings and Eurowings, Easyjet and more. http://ham.fltmaps.com/de. We will try to help with boatcharter and more. Dont hesitate to contact us if you need help. We are trying to organise a childcare service. If you are interested, please let me know in advance and write to elmar.janik@gmx.de. Please add information about age, language abilities and let me know if its a boy or a girl. See you at Scharbeutz in August!